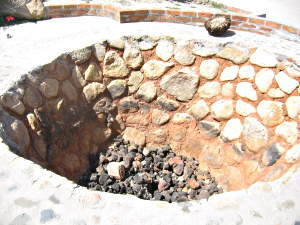 Can't remember if I showed you the pit where they roast the agave for making the tequila. This is it! Exciting, huh?